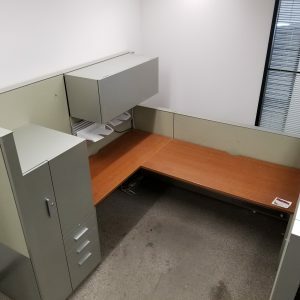 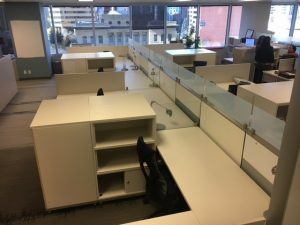 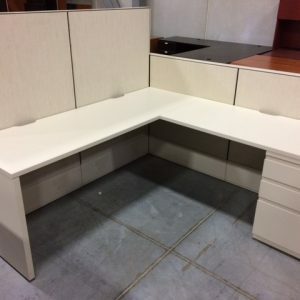 Herman Miller 7′ x 7′ Canvas Series modular workstations in white with 54″ panels and light blue/grey accents. 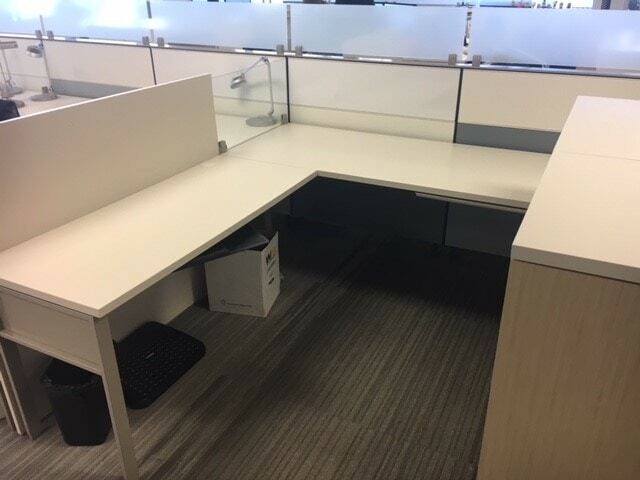 Features glass gallery panels, under surface shelf, whiteboard tiles, and tack-able tile. 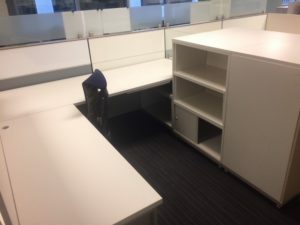 Wardrobes, cabinets, and shelf compartments available upon request.